Wondering whether Aaron septic can handle your BIG jobs? Aaron does commercial jobs too. 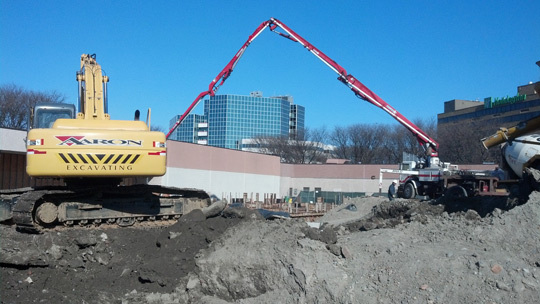 Here are pictures of foundation work from October 2012 for a new Marriot Hotel being built in Secaucus, New Jersey. 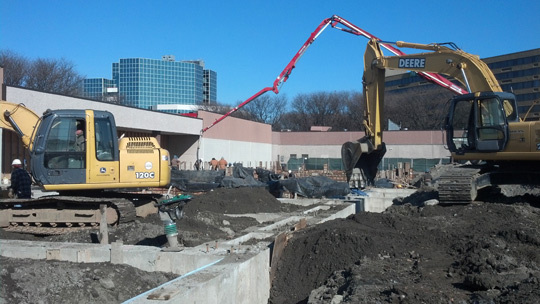 No matter how big, we complete our jobs with professionalism and in a timely manner. Aaron helped this and has helped countless others avoid problems by being thoroughly knowledgeable about larger scale projects that need the professional experience we deliver. Check out the image gallery below and see us at work. 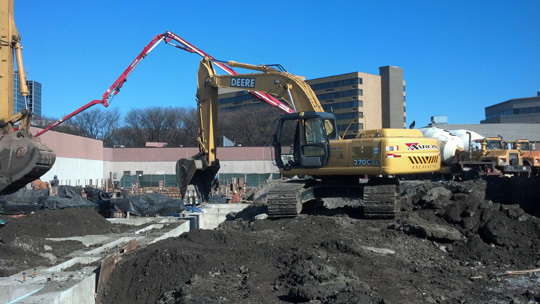 Heavy duty is at your service from Aaron Excavation and Septic Services. 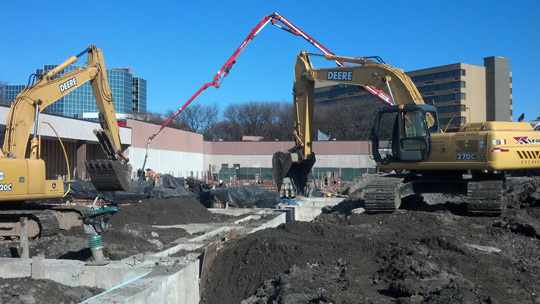 We really dig these big projects! 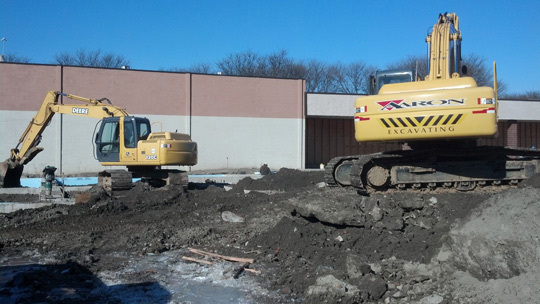 Aaron Excavation and Septic Services has the machinery for any job! Click here to return to the projects gallery or our home page. NEW!! - Heavy Duty Equipment Gallery! parties are expressly reserved unless otherwise noted.